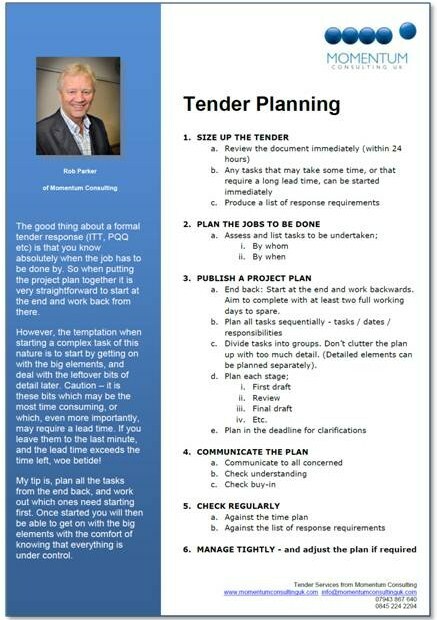 Do you Need Help with Planning the Tender Response? The first step with tender planning is a free consultation. This will be followed by putting together a tender plan. 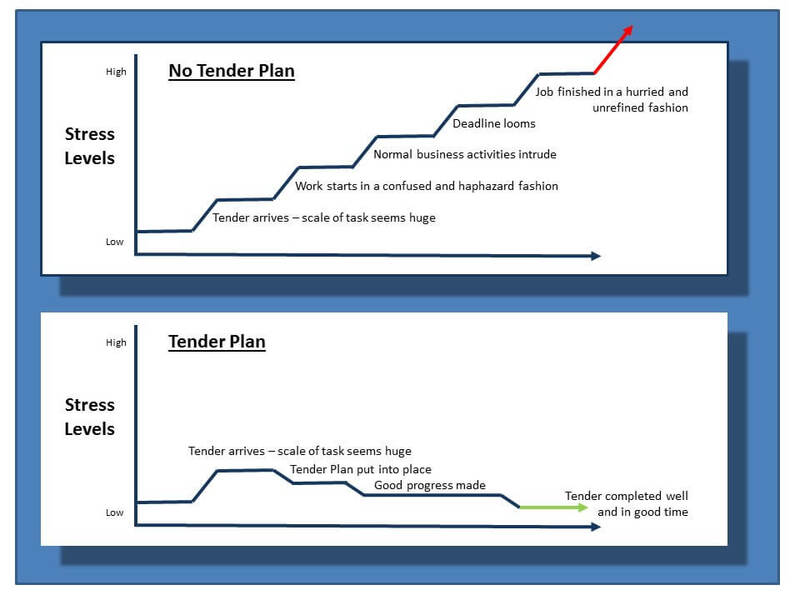 Getting some tender help can mean a significant reduction in stress levels – and getting help with a tender plan can have a massive impact for the better! Working on a tender can become a massive burden, especially if you have your normal workload to cope with at the same time. Tender work tends to get relegated to outside normal business hours. This in turn erodes your personal time, and it all adds up to enormous stress. This may mean that you don’t approach the task in the right frame of mind, and in turn the quality of the response suffers. In the worst case this can mean the difference between success and failure. Professional help can alleviate all of this, and provide less stress, more control, and the satisfaction of a job well done! Follow the link for how we can provide help with bids and tenders for you – How We will Work with You. Momentum Consulting provides training for client groups in how to manage and respond to tender opportunities. If you are not winning enough of the tenders you submit, or would simply like to produce tender responses in a more controlled fashion, click on the link below. We can arrange bespoke training workshops specifically tailored to the needs of you and your team. These can be conducted at your premises, or wherever suits you best.